Primary photographer, Megan, captured this creative and artistic wedding photo on December 1st, 2016 at Lee Ann & Scott’s post ceremony photo session at our reflection falls. Congratulations Megan on winning December’s Photo of the Month for the Primary Photography category! 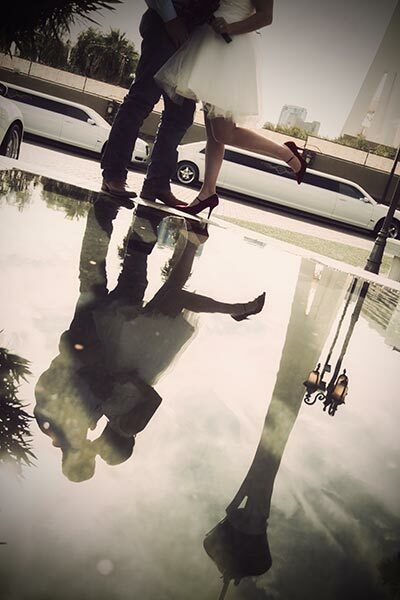 Do you desire a Las Vegas wedding with breathtaking wedding photos? Take a peek at our all-inclusive wedding packages and contact our wedding planners today to design your Vegas wedding!